On November 11, 1918, after over 4 years of unprecedented conflict, an armistice was signed ending the carnage of The Great War. Still to be done was negotiating the final peace terms between the victorious Allied Nations and the defeated Central Powers, led by the former German Empire. 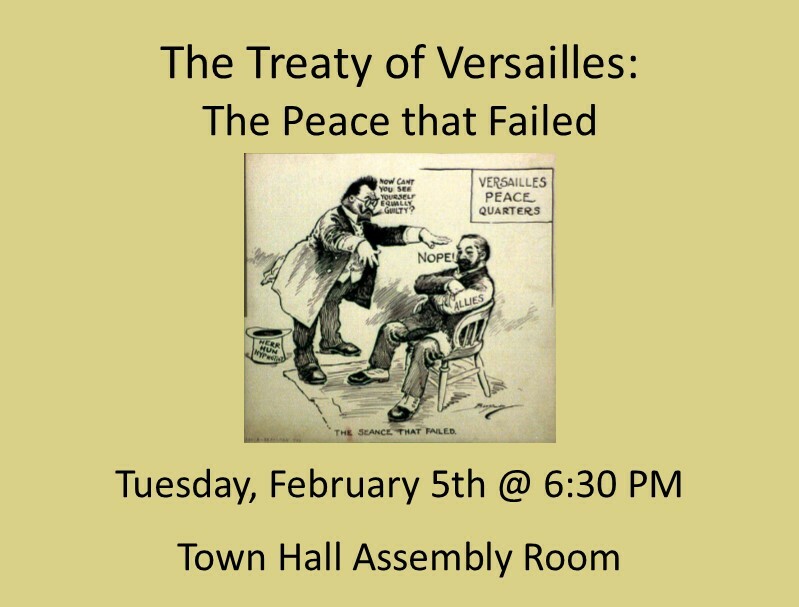 Local historian Chris Bielik will discuss the many political, national, and ideological differences of the principal allies – The United States, The United Kingdom, France, and Italy, which led to the creation of the treaty which ultimately paved the way for the start of the Second World War a mere 20 years later.